The success of your dropshipping business highly depends on public opinion. In this article, we’re going to talk about the role your online business reputation plays in your profit generation. Also, we will discuss how it forms and how you can establish a good, money-making online reputation. How do people decide whether or not to buy an item from a store? Thirty years ago, TV advertisements formed customer opinion about products quality. Now, these times are almost gone. A vivid picture is not enough to convince your clients to make a purchase. Nowadays your success depends on what people say about you more than ever before. In other words, your reputation has become your best commercial! Let’s start with a short story. In April 2017, a doctor and his wife arrived to O’Hara International Airport in Chicago to get on a plane to Louisville. The man was supposed to be at work next day and had booked his ticket in advance. He expected to touch down in Louisville safe and sound in several hours. But things didn’t go this way. The flight was overbooked. The airline’s search for the passengers who were ready to get off the plane voluntarily fell through. Long story short, the doctor was told that he wouldn’t fly to Louisville. He refused. Security officers weighed in. Things were getting worse and worse. And the man ended up being forcibly dragged off the plane and getting injured. The doctor’s name was David Dao. The company was United Airlines. And you must have heard this infamous story. But it wasn’t the end of it. This incident turned up on YouTube. In the blink of an eye, it went viral and caused a public outcry. People strictly condemned United Airlines over their actions and promised to stop flying with the company. Next day, United Airlines lost about a billion of its market cost! A shining example of how much your business reputation matters, isn’t it? Who knows how the company could have ended up if the circumstances hadn’t worked in its favor. United Airlines is one of the four biggest airlines in the USA. Naturally, it was hard for American airline industry to get along without this company. The other carriers just couldn’t fully replace it. Thus, United Airlines luckily managed to survive this crisis, even though the outcry definitely slowed down its growth. Indeed, when it comes to the eCommerce business, it’s not wise to count on luck too much. Your reputation is vital. Dropshipping is a really competitive field. There is always somebody who is eager to take your place. And despite the fact that your online store is not as big and famous as United Airlines, you’re more vulnerable to public opinion. What do you usually do before going to a restaurant or booking a hotel for the first time? Right! You look it up in TripAdvisor. There you can find ratings and reviews from the previous visitors. This helps you find out whether a restaurant is worth visiting or not. Things work similarly with online stores. 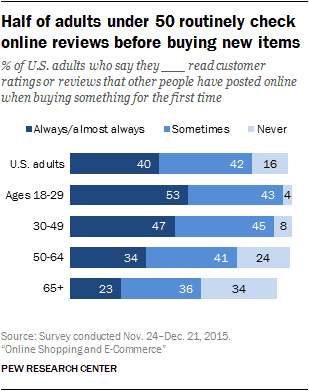 A research conducted in 2015 shows that 82% of US adults read reviews at least sometimes before making a purchase for the first time. At the same time, 40% of them do it on a regular basis. 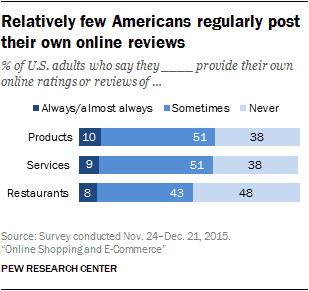 Meanwhile, 51% of Americans think that online reviews paint a trustworthy picture. Quite remarkably, 65% of those who always read these reviews believe they’re accurate. This research reveals one more interesting detail. 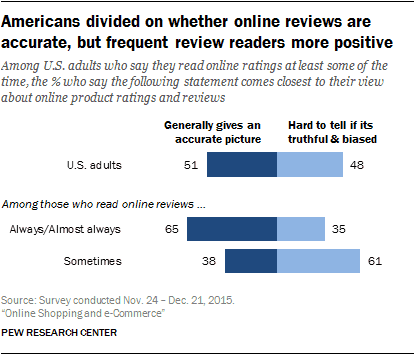 The more people go shopping online, the more they tend to read reviews. 67% of weekly online shoppers always read customer feedback before buying a new item. They’re followed by 54% of monthly shoppers and 38% of those who go shopping online less. Now, consider this: what if customers come across bad comments about your dropshipping store? You’ll lose the better part of your clients, pure and simple. Well, now you see it for yourself whether your business reputation is important. Now you know how much reputation matters in dropshipping. And the major challenge is to build a good one. But before this, you need to track down the sources where your business reputation forms. It seems to be impossible to explore the whole Internet sniffing out what people think of your online store. Luckily, you don’t need to! There are three main sources on the Internet which matter for your online business reputation. Also, you can use Google Alert to gain more control over your brand mentions. It’s a tool that looks for a new content which lives up to your search terms. Once it finds something, you get a notification. Social networks are not the places meant for leaving customer reviews. However, people discuss brands, businesses and online stores in various communities on social media. Since the audience of social networks is constantly growing, you can’t ignore this channel. 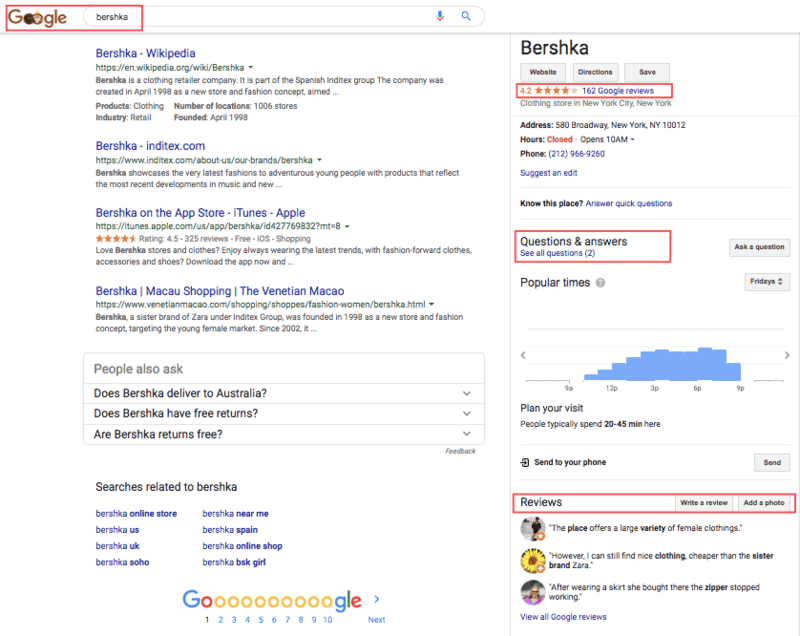 You need to keep track of the most popular communities where your store could be mentioned, and pay attention to the external reviews left on your own account. You could have guessed it. If hotel and restaurant businesses have TripAdvisor, there must be a similar thing for stores’ reviews. Websites such as Choice.com, Trustpilot.com, etc. 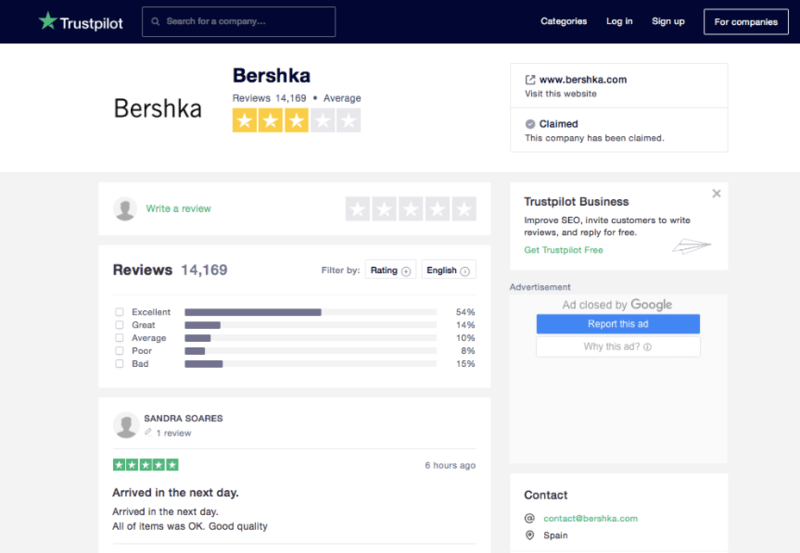 allow customers to evaluate brands quality and write their comments about online stores they visited. Let’s look back at the incident with United Airlines. Of course, to some degree, the specific situation in the industry allowed the company to overcome the reputational crisis. But there was something more. Its officials took some actions to take the heat off the company. They made some public statements, solved the problem with Dr. Dao, and took measures to prevent such situations. This let the airline save its face and report a profit of $818 million in the end of June 2017. Now let’s take a closer look at how you should manage your business reputation. No feedback is also bad. It’s true that negative reviews hurt your reputation. But if visiting your store leaves your customers cold, it doesn’t mean you can have a sigh of relief. Thirty years ago, entrepreneurs could go with a second-rate service and still expect clients to come over. Nowadays, things don’t work like this anymore. Customers have become smarter., and, to start working with your company, they first of all need to know you better. You should put all your efforts to please your clients. This way, you kill two birds with one stone – prevent negative customer feedback and encourage them to leave positive reviews. Pleased customers could also highly rate your dropshipping store on online review websites. By the way, you can place your rating on your site to show the high level of quality you provide. Trustpilot.com gives you such an opportunity. Although most consumers rely on online reviews before making a purchase, a few of them are ready to leave their own. A research by Pew Research Center shows that only 10% of customers regularly post reviews of the products and services. And 51% do it sometimes, while 38% – never lift a finger. At the same time, it’s obvious that angry and frustrated consumers are more eager to leave their feedback. So how do you get positive comments? Just ask your clients! You can do this in emails, in communities on social media, etc. Just be polite, provide a good service and customers will be glad to do you a favor. As a rule of thumb, always thank your customers for their positive reviews. This shows that you cherish and respect your clients. Who doesn’t like this? Unfortunately, nobody can avoid negative reviews. You’re not an exception. But you may get benefits for your reputation even from critical comments if you deal with them properly. By acting this way, you make an impression of a respectable and responsible company. Customers see that you’re the one they can deal with. 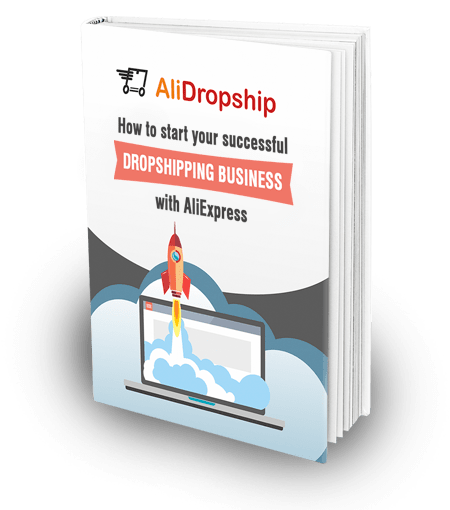 These three simple steps are going to instill trust in customers and bring your dropshipping business to a new level. Use them and enjoy watching your sales going up! We hope this article will make you one step closer to your success! What ways to improve your online business reputation do you usually use? We’re always happy to get your feedback and respond to you! Good luck! Excellent article, informative and well written. Thank you. I like the part about Comments and feedback. Receiving a lot of bad comments will kill your business, good comments will bring back old and new customers. I like to read comments to make sure there are no issues going on. On another note, can you write a post on how to select a niche in detail. Take us through it step by step. 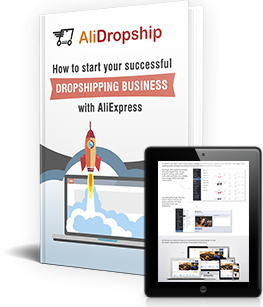 If you have a drop shipping website can we have a look at it.